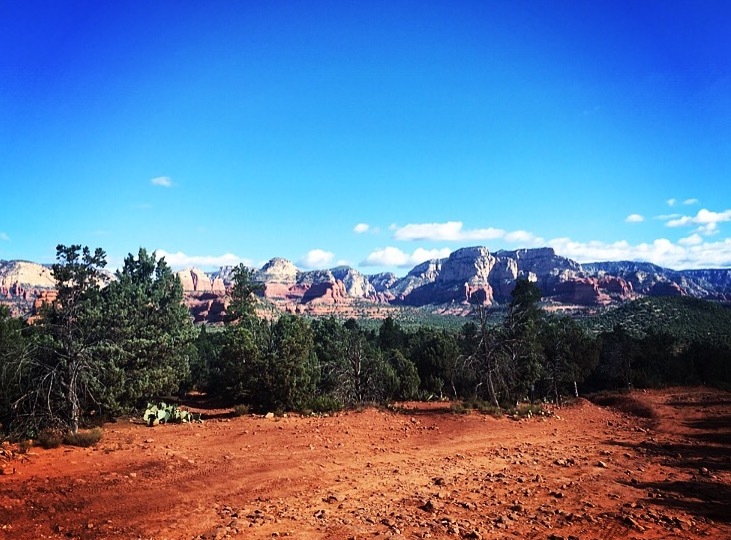 Sedona is filled with incredible views and amazing hikes, with a wide range of difficulty to chose from. 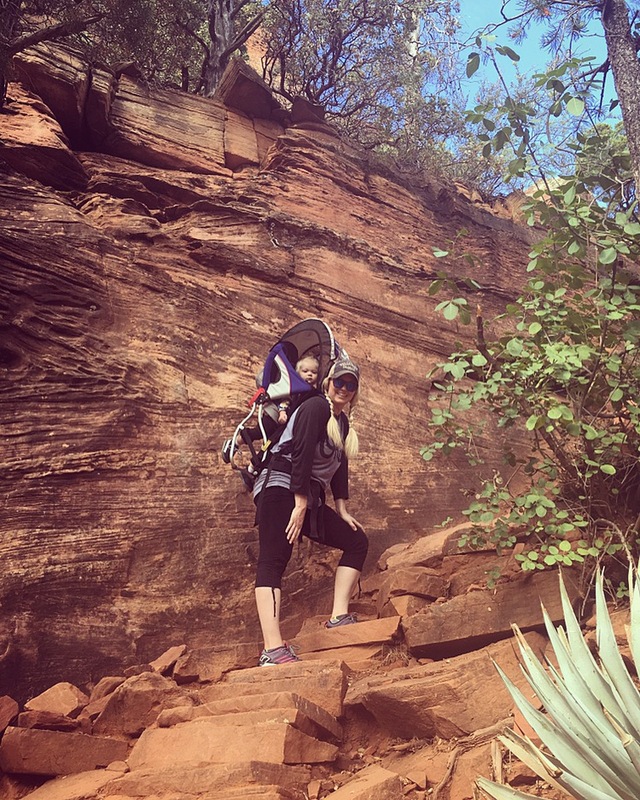 Typically we’d chose a fairly demanding hike, but since we would be wearing our girls on our backs this trip, we decided to pick a “moderate level” hike. Now granted my husband and I are active people (my husband more than me), but this hike wasn’t difficult and turned out to be a perfect hike for our situation. Our goals were to get a good workout in, be amazed by God’s creativity in nature, and enjoy our time together as family. 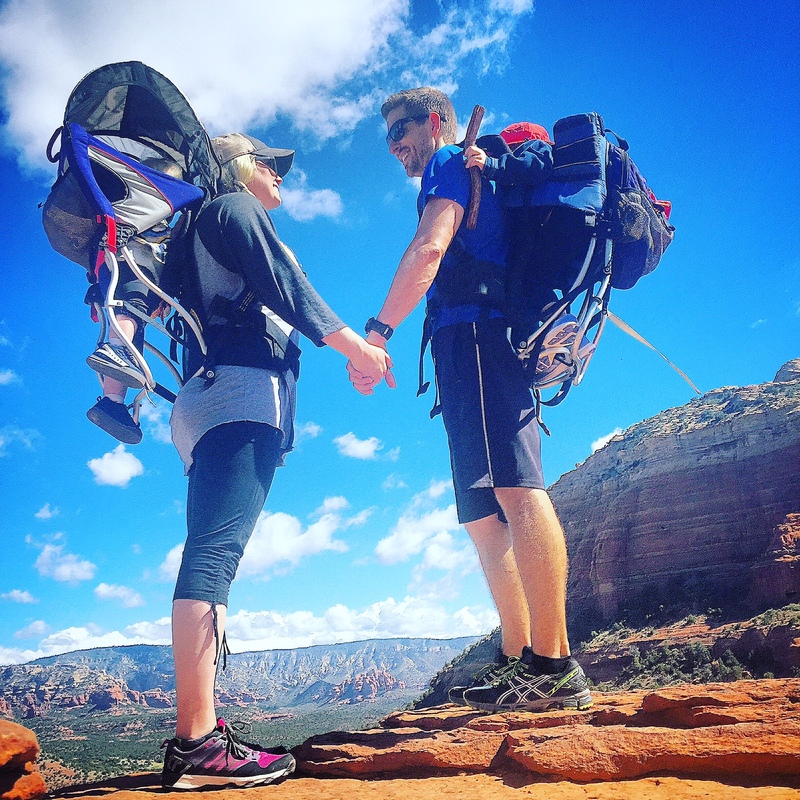 We achieved all this by visiting this iconic Sedona location: Devil’s Bridge. Although the name doesn’t imply a family friendly outing, the views at the top are HEAVENLY! 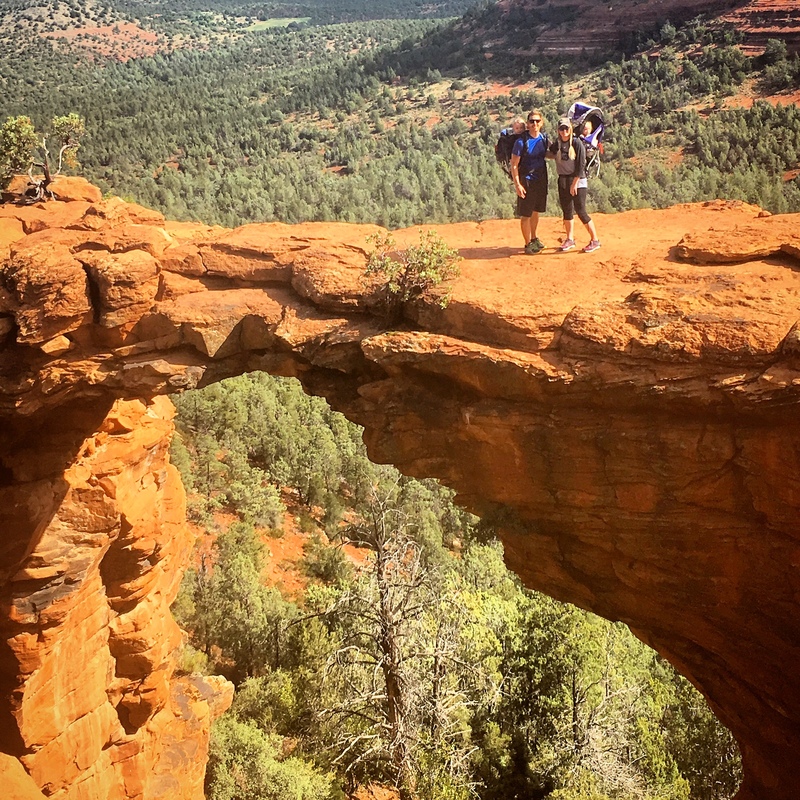 Devils Bridge is a moderate level hike up to the largest natural stone arch in the Sedona area. 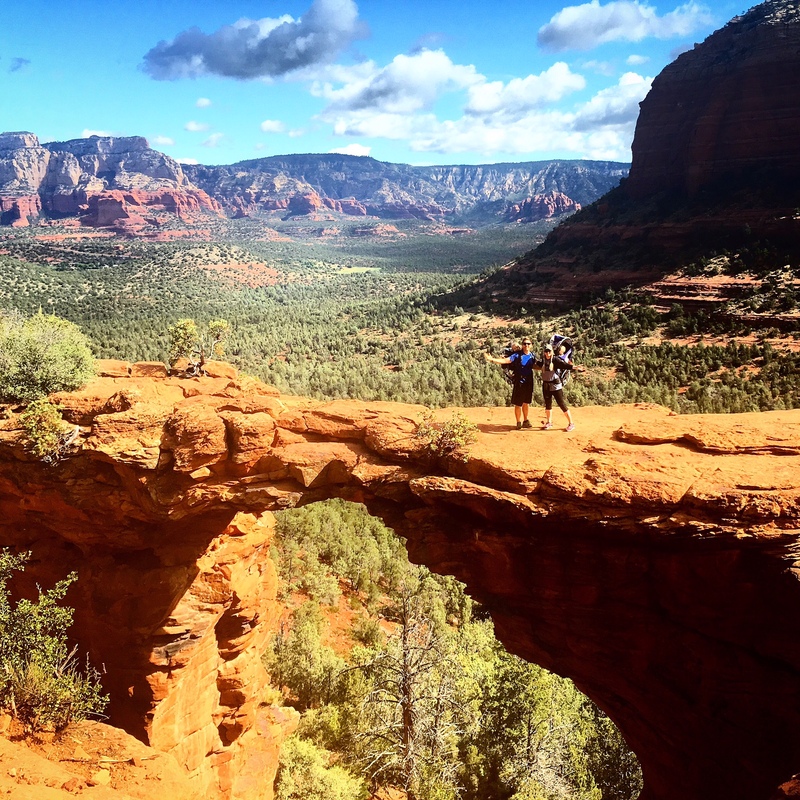 The 4.5 mile roundtrip hike begins right out of the Devils Bridge parking lot with a trail-marker directing you to the Devil’s Bridge Trailhead. It was super easy to find and convenient for us visitors. The hike starts out on a rough dirt road and then leads you to a flat loose dirt path before starting the ascent. The hike starts with a gradual ascent through a series of switchbacks and grows in steepness as you go. This part of the hike is so calming and peaceful and we had so much fun talking, playing eye-spy with our 4 year old and admiring the beauty that surrounded us. To this point in the hike, you cannot see the bridge, but the anticipation of getting your first glimpse is an adventure in itself! At about 2 miles in, the trail begins to get steeper and requires a little climbing as it is time to begin making your ascent to the bridge. 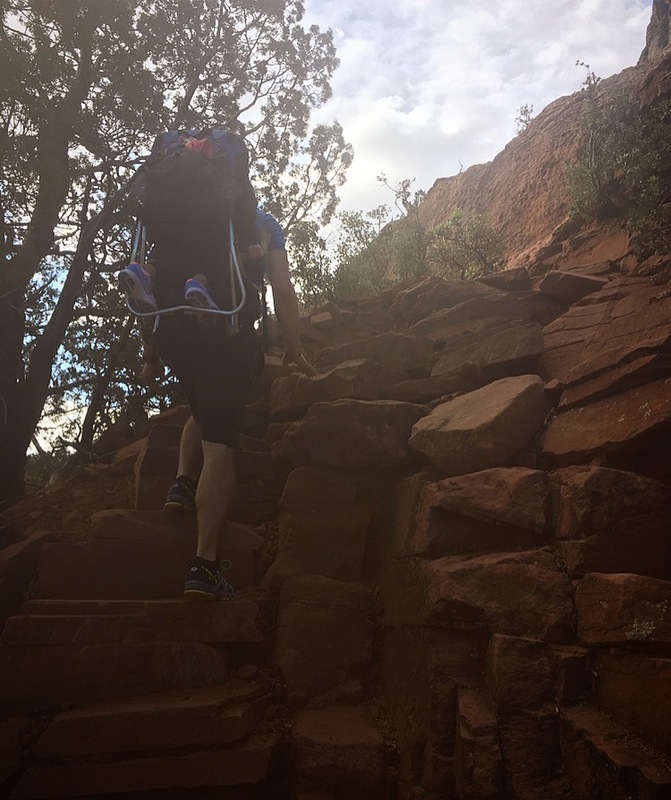 Because of the natural rock staircase, the ascent isn’t too bad and the thought of some unbelievable views will keep you going strong! The hike is well worth it, I was in complete awe of the beauty that surrounds you at the top. Like I said, it is heavenly! Remember what goes up must come down! So those same steep natural stone steps (with no hand rails) are your way off of the mountain as well. They can be a little bit scary to climb down… but you can do it! 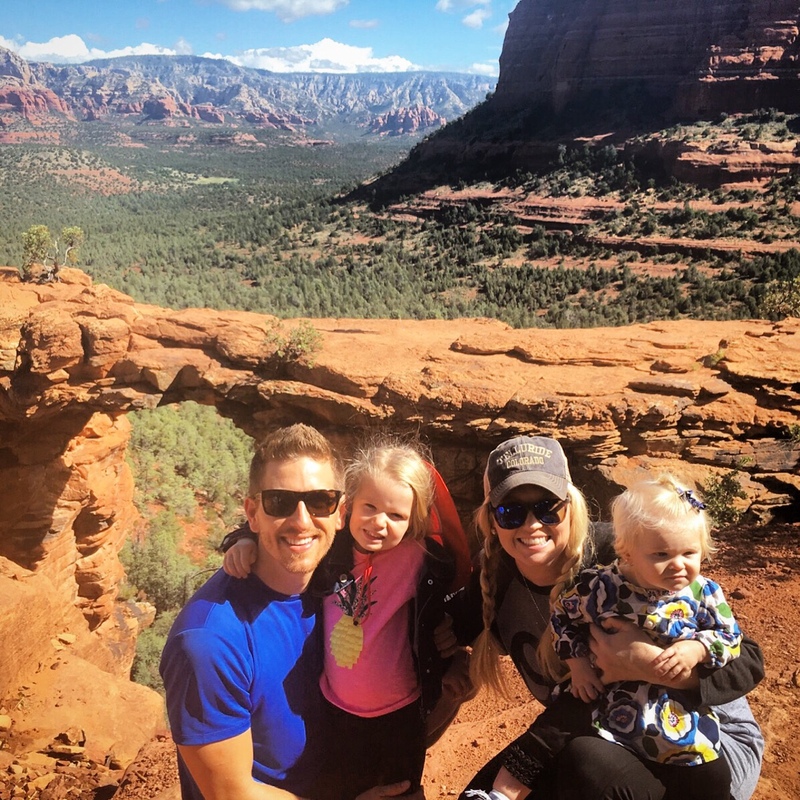 This hike is well worth every step and the pictures we were able to capture will be such a treasured memory for us and our family. 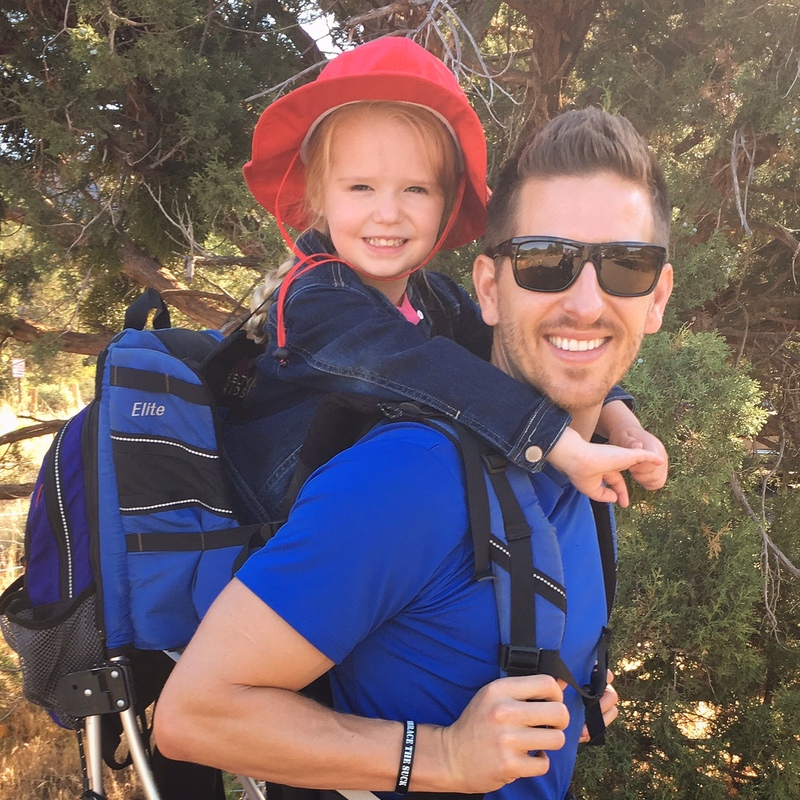 If you are looking for a great back pack carrier … Click HERE for more details. 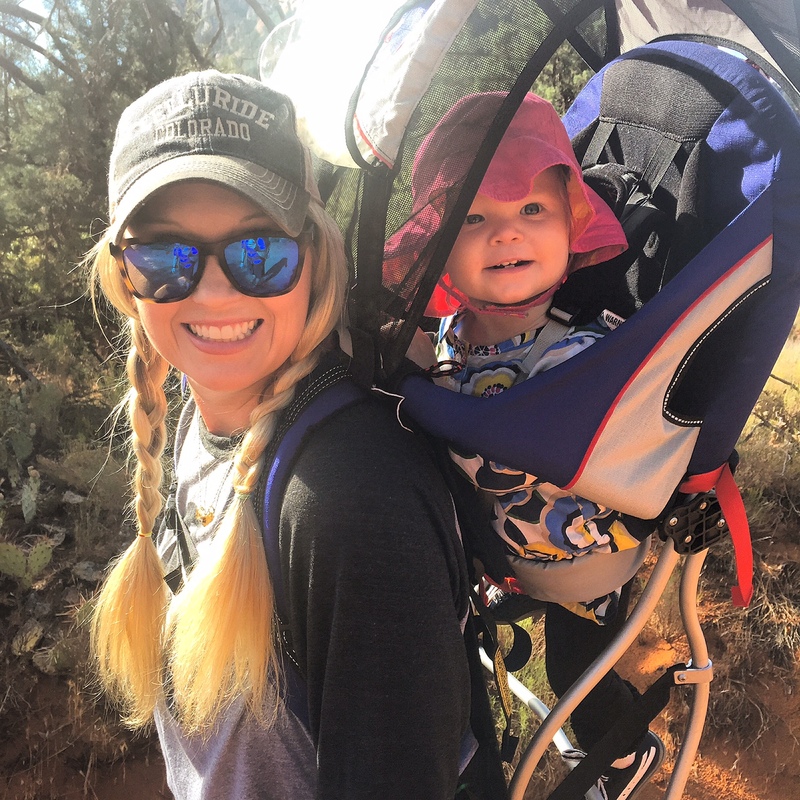 So what are you waiting for… GO TAKE A HIKE! That last picture is incredible! !